This one is called quiver. It’s a black and white pen & ink illustration print that has been had-tinted with watercolor. I think I did it back in 2001. 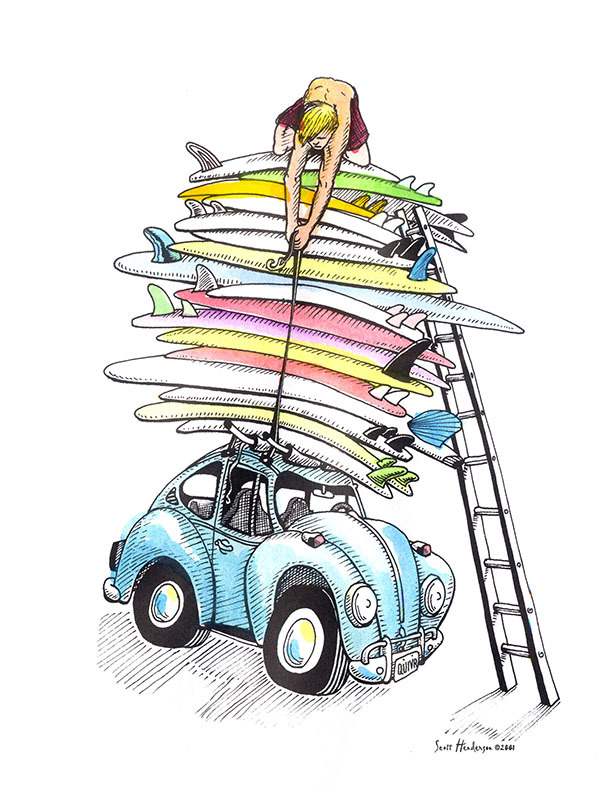 I had an old light blue beetle, 1971, that we used to stack with boards. To be honest, if we ever stacked this many on it I’m sure it never would have gone anywhere. Those old beetles were not known for power.